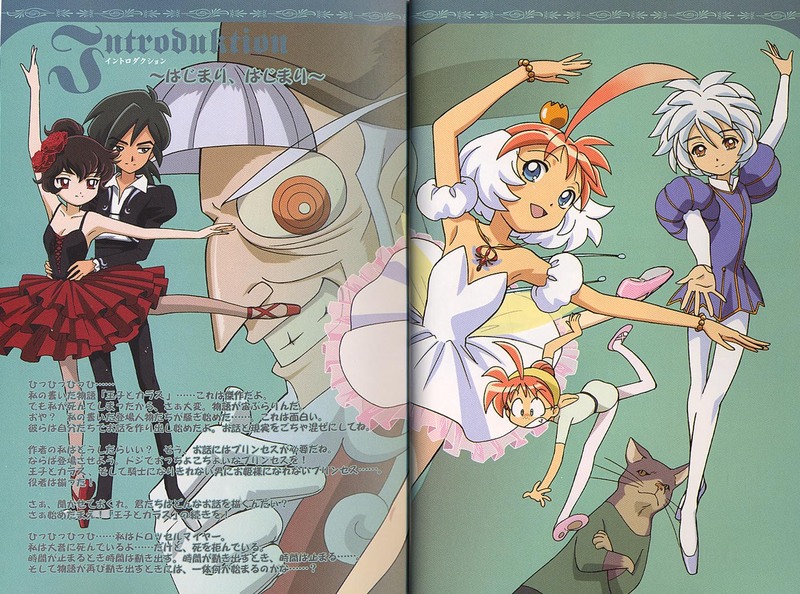 Princess Tutu: Dance, My Pretties, Dance! Minitokyo »	Princess Tutu Scans » Princess Tutu: Dance, My Pretties, Dance! hm.. i wish i could see fakir dance with akhiru. sometime i can see that fakir like her. i wonder what will happen at the end of this story..?? Whoa, Rue and Fakir dancing together? And looking happy? The mind boggles. ::laughs:: Great scan, though! RUE AND FAKIR?! NNNNNNNNOOOOOOOOOOO!... at least all the characters look happy *sob*... exept mr.cat he looks mad. nice art but why FAKIR AND RUE?! I MEAN COME ON FAKIR AND RUE?! P.S. ONE FAN SAY'S KRAEHE ENDS UP WHITH MYTHO... HOW?! Good point, I'd have no idea why either, unless this is meant to be post-tv show, when everyone's settled and they don't need to quarrel over mytho anymore, so Fakir and Rue would be - let's say - friends... and would have no problem dancing together. Fakir and Rue together? Like hmm... they never liked each other... so it makes no real sense. Fakir's gotta dance with... ME!
? ?? Lovely scan! ? Very fun! ...if only I could read it, I would be in heaven... ? ? ?